Changes within the subconscious have an impact on all levels, body, mind and spirit. By balancing the energy flow, we assist our clients in achieving their goals more easily. You will feel good knowing you have given your clients the energetic boost to get more from their hypnotic sessions. Give yourself the gift of a wonderful, relaxing and colorful experience as you learn an energy balancing technique that is easy to do, profound in its effect and something you can easily put into practice by the time you hang up the phone! 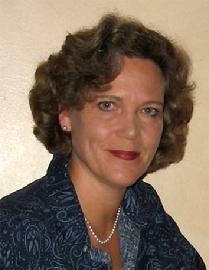 Okka Holthuis, H.P., CH, is the founder and director of Rainbow Healing Center. Okka moved from Germany in 1997, with a degree in alternative medicine. A certified Hypnotist, and spiritual counselor, she instructs at many of the Hypnosis conferences. Okka developed LuxMani, an energy-based healing modality and teaches this system as well as other workshops related to healing, internationally. She has appeared on radio shows and created a series of Cds called Healing from Within.